A Chassis is a frame/housing for mounting the circuit components for Cisco Switches and Routers or any type of devices that provides power and a high-speed backplane. The frame also protects all of the vital internal equipment from dust, moisture, and tampering. A chassis is an enclosure; a container that holds things together... i.e. an egg carton holds eggs together inside. A chassis does the same thing; it holds the important things inside like wiring, power supplies etc. 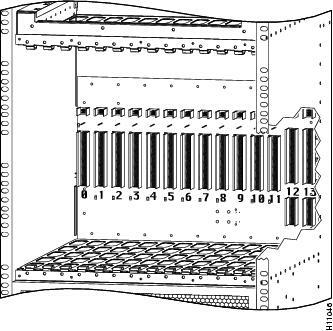 Backplane is a circuit board with sockets that allows Supervisor engines Cards or modules to be inserted into these sockets and connect them to each other. Backplane is mounted on the Chassis. Modules or line cards provide different types of interfaces, but the processing of packets is usually done in the Supervisor engine. Backplane is the medium for data flow between modules and Supervisor engines. Additionally, most high-end switches off-load processing away from the supervisors, allowing line cards to switch traffic directly between ports on the same card without using any processing power or even touching the backplane. Naturally, this can't be done for all traffic, but basic layer-2 switching can usually be handled exclusively by the line card, and in many cases also more complex operations can be handled as well. What does Line Card means? The line cards provide interfaces to the network.